Enough Motorola DROID Turbo 2 owners have just reportedly received the update to Android 6.0 that it is unclear whether the update has started rolling out, or if it is merely a soak test for the Marshmallow build of Android. Those who received the update say that it consists of two parts, with the second one taking the phone to software version 24.14.10. Android 6.0 brings Doze to the DROID Turbo 2. When the phone has been inactive for some time, it will automatically go into the deep sleep state that shuts down apps running in the background. This increases the standby time of the battery and improves battery life overall. The update also allows users to have app permissions allowed or denied on a feature-by-feature basis. And Google Now On Tap provides information about the content that is on your screen. The Motorola DROID Turbo 2 features a shatterproof screen, a first for the industry. The phone launched with Android 5.1 pre-installed. 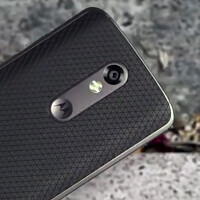 The original Motorola DROID Turbo, currently running Android 5.1, is also scheduled to receive Android 6.0. You mean "beta test" right? No. Beta test is an unfinished version of the software looking for bugs to work out before the final release. It will most likely be altered before made available in mass amounts. Soak test is the final version of software but testing for load capacity and compatibility with the hardware. Most likely will not be altered again before mass release. (Unless major issues are found.) Both are released in limited amounts but are testing for different things.